Specifically designed with residential and commercial applications in mind. The dimensions of the 250, 300, 375 or 400 gallon allow for fitting through a conventional doorway. 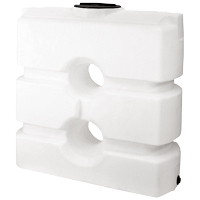 The design of the freestanding /self-supporting tanks eliminate the need for a steel support frame. 100 gallon poly free standing water tank with a 1 1/4" poly fitting and a 8" lid. 300 gallon poly free standing tank with a 1 1/4" poly fitting and a 16" lid. 300 gallon poly free standing water tank with a 1 1/4" poly fitting and a 16" lid. 400 gallon poly free standing water tank with a 1 1/4" poly fitting and a 16" lid. 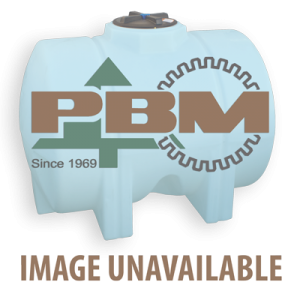 400 gallon dark green poly free standing water tank with a 1 1/4" poly fitting and a 16" lid. 500 gallon poly free standing water tank with a 1 1/4" poly fitting and a 16" lid. 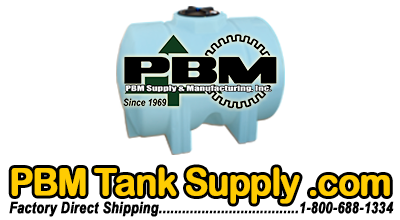 750 gallon poly free standing tank with a 2" poly fitting, siphon tube, and a 16" lid. 1000 gallon poly free standing water tank with a 2" poly fitting, siphon tube, and a 16" lid.